HOME » Webinar recordings » What the GST? It’s tax time! Get a better understanding of Canada’s GST/HST and provincial sales taxes as they relate to freelance editors. What are GST, HST, QST and PST, who needs to register for them, and how do you do that? Charging, collecting and remitting sales taxes is just another administrative nightmare for many self-employed editors. In this session, you’ll find out whether you need to register to collect GST and other sales taxes, which clients you need to bill for which taxes, what you need to pay to the CRA and your provincial government and when, and how to pay as little as possible. The session will clear up common misconceptions and confusion that can make taxes seem more complicated than they are. Michelle is a freelance writer, editor, and proofreader in Toronto. 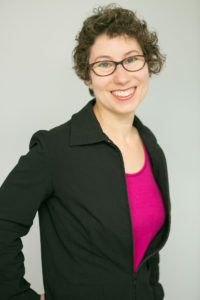 She has edited finance-related material for the Canadian Tax Foundation, Ironshield Financial Planning, and Education New Zealand, among others.